Imagine a soccer team striving to win in a competitive league. But the team has no data about how many goals they’ve scored, or even who’s a great striker versus defender. What are their chances for success? Crazy – yet that’s the way most organizations are playing today. No clear data on performance and how results are generated. A Vital Organization is one where people are meaningfully engaged in doing the work that matters. How do we get there? Three key principles leaders can follow to increase vitality; Measure it, fuel it, direct it. 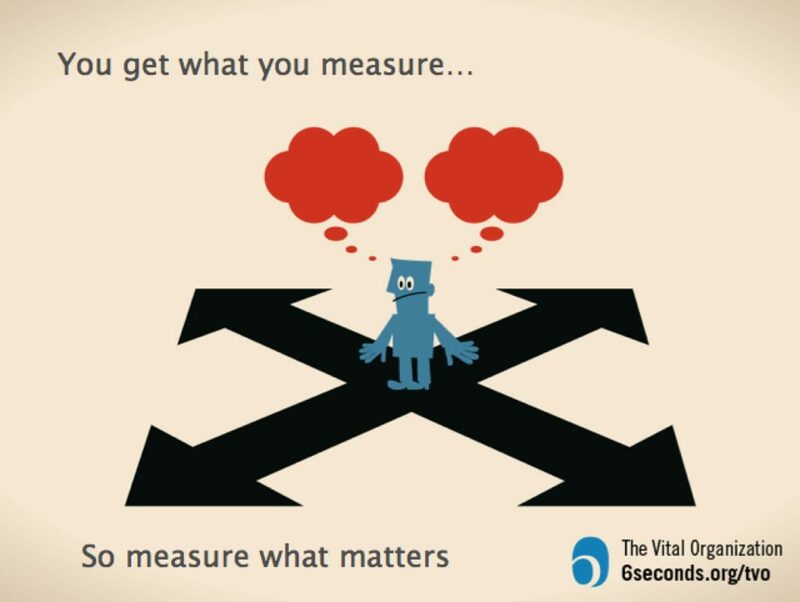 You get what you measure… so measure what matters! 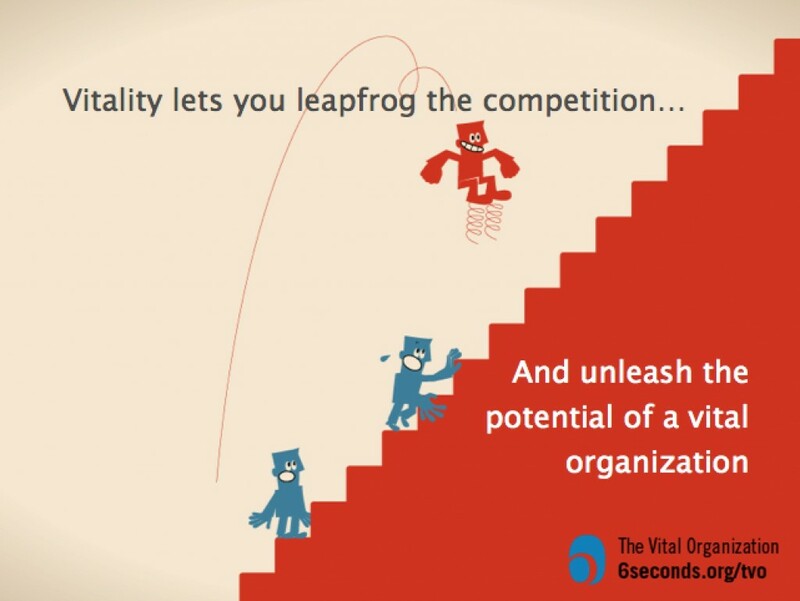 Vitality drives success. How can you build a vital organization where people are motivated and energized by a sense of common purpose? Start by measuring the five vital signs driving performance: Trust, Motivation, Change, Teamwork and Innovation. 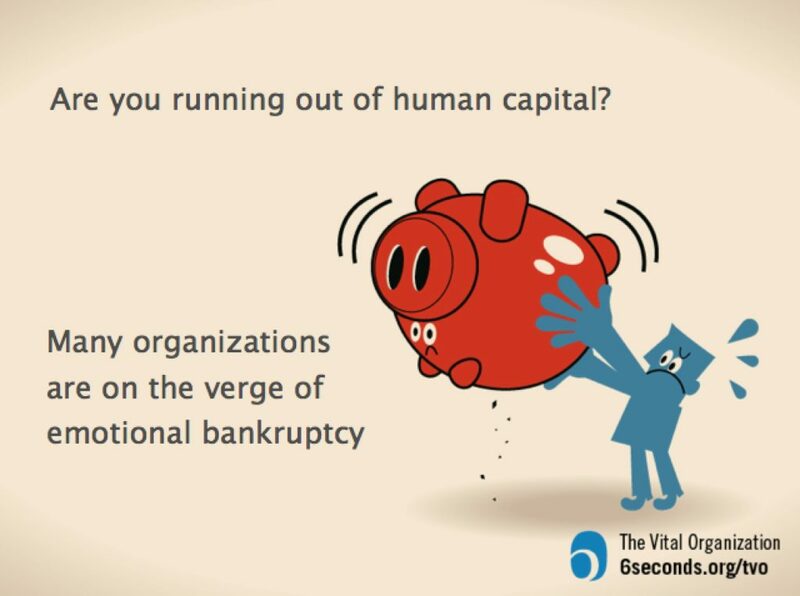 Is your org on the verge of emotional bankruptcy? Vitality needed. Vitality is life force – it’s the people energy that drives the “wow”. How can you fuel your organization’s human energy? People will only give 110% if they feel trust and buy-in. If we want to create change, we have to create a positive emotional climate which inspires performance. Organizations which use the tools of emotional intelligence beat the competition every time. To propel your people-powered machine, make sure managers are getting the right insight – based on the right data – to build and direct the team.